Hfs Girls Campus organized a one of its kind inter-school declamation contest in English and Urdu on Thursday, 25th October. The foremost aim of such a declamation contest was to provide a platform to young minds to project themselves and display their public speaking skills. Invitations were sent to all Islamic schools and five reverted with confirmations. 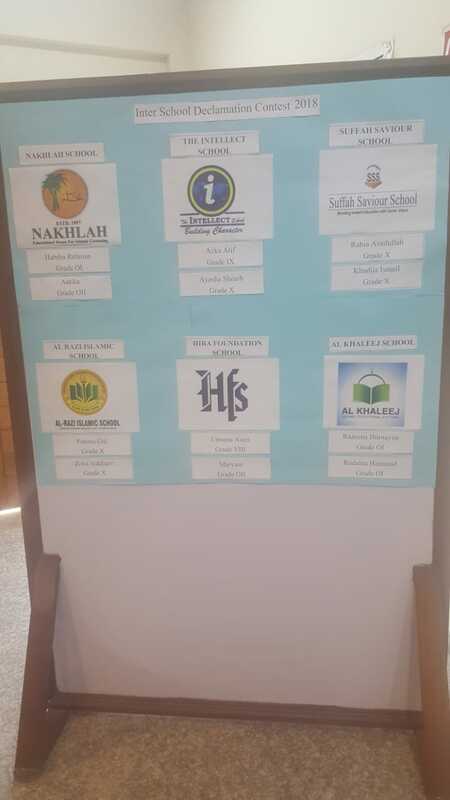 These were Al Razi Islamic School, Al Khaleej School, Nakhlah School, The Intellect School and Suffah Saviour School. 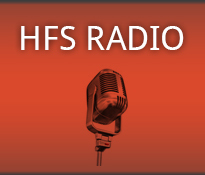 The participating schools were greeted warmly to Hfs and some of the accompanying teachers remarked about the serenity of the Darul Uloom surroundings. One of them had also attended a HIES workshop earlier. 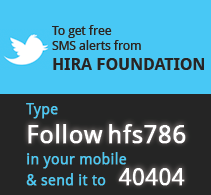 The event opened with Hira Foundation School’s participants enthusiastically speaking on the given topics. These were followed by each of the school’s speakers presenting themselves infront of the dias for shooting of point of views. Sparks of speeches flew all around igniting the atmosphere with their power. The judges evaluated all participants in the light of the criteria and strove for justice at every step. The ambience was livened by the literary onslaught as each speaker tried to outdo another. The amazing oratory skills of the participants put up a great show and proved their merit in these areas. Finally, the curtain raiser moment arrived and the names of the word warriors were revealed. The winners were awarded Hfs designed shields and all the participants were given certificates as tokens of appreciation by the honourable guests Ms Saima Imran, Ms Rutaba Tariq (OIC Project Coordinator, Zurich) and Ms Nuvera Latif. Nakhlah School stood at winners in both English and Urdu declamation Mashallah! 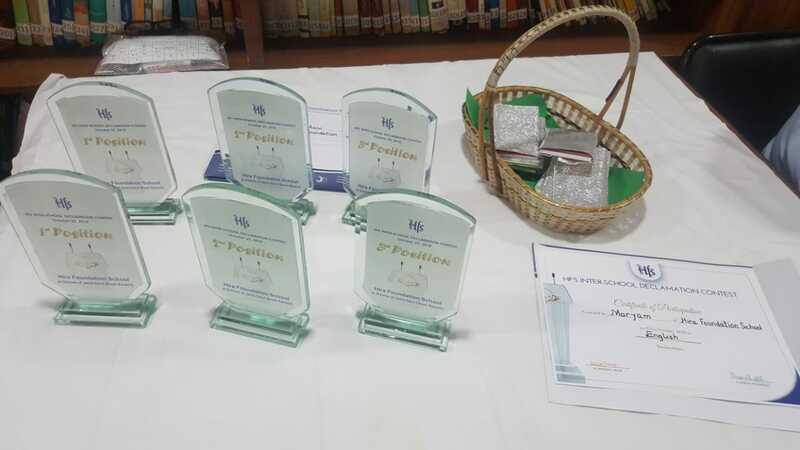 The Intellect School runners up in English and Al Khaleej School in Urdu. The third position went to Al Khaleej School in English and Suffah Saviour in Urdu. Refreshments were served at the culmination and all left with a sense of achievement alhamdulilah! Heartfelt thanks to all those who strove to make this event successful! Compound Jamia Darul Uloom Karachi, Main Korangi Industrial Area Road, Postal Code 75180 Karachi, Pakistan.